The Local Government Elections Act was amended last week, with no debate either inside or outside Parliament. But was the change genuinely uncontroversial? I don’t think so. Given that the process was initiated in the immediate aftermath of the passage of the 18th Amendment, we should have been more suspicious. 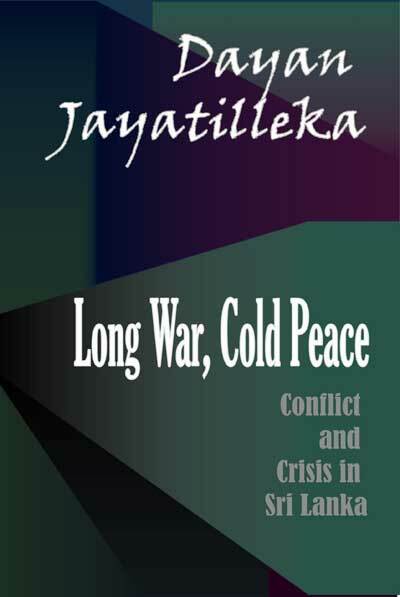 The 18th Amendment was part of Mahinda Rajapaksa’s post-war strategy to tighten his grip on power. He was thinking about how to make use of a moment at which he enjoyed unprecedented popularity to achieve what is best for him. Are we really to believe that reforms to the voting system announced just a few weeks later were about what is best for the country? People have a general sense that Proportional Representation is problematic, which leads them to assume that a mixture of Proportional Representation and First Past the Post – the new legislation calls for 30% of seats to be decided using Proportional Representation and 70% using First Past the Post – would be better. The argument goes as follows. The country is unstable with Proportional Representation, since it is difficult for any one party to achieve a majority. Proportional Representation also leads to violence during elections, as candidates fight each other for preference votes. They have to spend more since constituencies are larger and they have to cover a larger area, leading to more corruption. And it is more difficult for voters to hold their elected representatives to account. First Past the Post disadvantages minority parties, but what is being proposed is a compromise. Will the reforms actually solve any of these problems? Are they even the problems that need solving? When it comes to accountability, it seems to me that voters will have even less chance of controlling politicians under the new legislation. At the moment, people can choose between candidates while maintaining their allegiance to a party. This is important. They need not vote for a party whose policies they don’t agree with simply because they don’t like the individual the party has nominated in their area. I bet plenty of UNP supporters stayed at home or even backed Mahinda Rajapaksa in the 2010 presidential election rather than cast their vote for Sarath Fonseka. That is what happens when choices are limited. Electoral reform as a means of reducing corruption is even more of a stretch of the imagination. Are politicians compelled to steal in order to pay for election posters? Or is it rather that they pay for election posters in order to be in a position to continue stealing? Meanwhile, violence may or may not be reduced. Intra-party violence should be wiped out with the abolition of preference votes. But this is not the only sort of violence. Inter-party violence is already a problem, as we saw last month in the Eastern Province – one of the most serious incidents reported was a knife attack on SLMC candidate Azath Salley by supporters of Ameer Ali of the UPFA. That had nothing to do with preference votes. With competition from within the ranks of their own party eliminated, politicians could focus all of their attention on their opponents. The only real solution is the empowerment of the Police. Parties themselves can have an impact. They don’t have to tolerate intra-party violence, as the JVP has demonstrated. They don’t have to nominate thugs. These days, much more of a problem than violence is the abuse of state resources. Parties must commit themselves to a no-tolerance policy on all electoral abuses. They would be substantially reduced almost immediately, without the need for any change in the voting system. But the Government isn’t interested, since it knows that without electoral abuses its performance would suffer. The only completely logical part of the argument is the bit about stability, but this is a reason to oppose the reforms not to support them. Under First Past the Post, a party can win representation far in excess of its vote share. It tends to guarantee one party a majority, reducing the need for potentially destabilising coalition building. But surely nobody in Sri Lanka believes that the country is currently short of stability, electorally speaking? Mahinda Rajapaksa isn’t under any pressure from the members of his coalition – on the contrary, he could easily do without them. Does he need a guarantee? Even under Proportional Representation he has managed to secure enough seats in Parliament to change the Constitution, which was supposed to be impossible. First Past the Post is even more problematic than Proportional Representation. What kind of a compromise is that? The new legislation ignores genuinely popular and important electoral reforms, such as a compulsory quota for women candidates. Women make up only 2% of elected representatives at the local level. And according to a 2010 survey by the Centre for Policy Alternatives, the vast majority of people from all communities, including over 90% of Sinhalese, support quotas. They were even promised in Mahinda Rajapaksa’s now forgotten Chintana. If the voting system is to be changed, the introduction of a compulsory quota for women candidates should be the top priority. I hope that there would be at least some debate on the matter before the Government gets around to extending the new system to the provincial and national levels, as it announced following the passage of the amendment to the Local Government Elections Act last week. The implications are bad enough at the local level. But at the provincial and national levels, the reforms have even greater potential for causing trouble. Minority parties, and in particular the JVP whose supporters are spread relatively thinly across the country, will be badly affected. Of course, this is hardly a coincidence, since it is the JVP’s seats Mahinda Rajapaksa wants to take over, in case the UNP gets rid of Ranil Wickremasinghe and starts to challenge him. Changing the voting system is just another way of shoring up his position. Given that Mahinda Rajapaksa already holds the over-powerful Executive Presidency, shoring up his position is not something we should encourage. That the task of defining constituencies in the new system is entrusted to the responsible minister with little in the way of oversight is even more reason to be suspicious of the move. But such a debate is unlikely to be initiated by the Opposition. 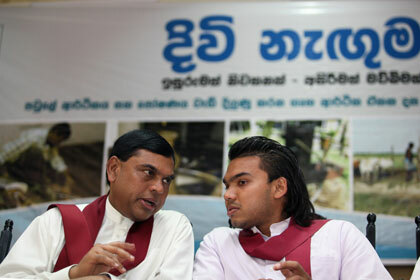 Ranil Wickremasinghe has already indicated his support for the new system. Naturally, since the amendment will result in an increase in the power of party leaders. And when it comes to power, he is as obsessed as Mahinda Rajapaksa – only less successful. Party leaders don’t like Proportional Representation because it gives some of their power to voters. They make their nominations, but it is voters who choose which of the candidates get elected. With First Past the Post, party leaders can give the areas where the party has a strong base to their favourites and consign their bêtes noires to areas where they have absolutely no hope of winning. 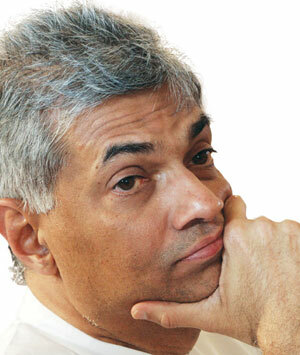 It is obvious why that is appealing to Ranil Wickremasinghe. This article was published in the Midweek Review of 17th October 2012. The internet version can be accessed here.